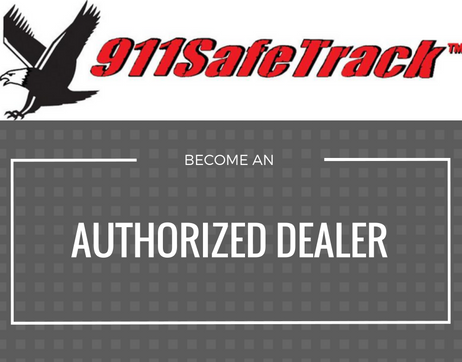 911SafeTrack S4 Vehicle Security System provides dealers many benefits. In fact more than any other Vehicle Security System on the market. S4 protects motorcycles, cars, trucks, RVs and more! S4 is different because you are in charge. S4 follows the instructions that you text from your phone. S4 alerts you if your car has an emergency and you call the S4 to connect a 3-way call to the 911-Operator located closest to your car. So you are talking directly to police within seconds of the emergency. No call center is used – saving you time and money. Saving valuable time can save you, your family, and your belongings. LoJack® doesn’t do this. OnStar® doesn’t do this. No other anti-theft system can do this. The S4 can allow you to use your phone to remotely disable the vehicle starter, which prevents the thief from restarting the car when the thief turns off your vehicle. You can check your vehicle anytime. S4 helps parents check that their teenage driver is safe or their elderly parents have arrived home safely, or to help find your car in a large parking lot. We encourage dealers to install the S4 in every vehicle on the lot. For vehicles get stolen right off the lot all the time. This would let the dealer owner [or a trusted manager] check the location of any car in their inventory. The dealer owner can go to their liability insurance company and work out a lower premium due to the lower risk of car theft. When a salesperson is working with a motivated buyer, explaining the S4 benefits may be just the icing on the cake to close the deal. When the owner takes delivery of the vehicle with the S4, the S4 internal setting is changed so that the owner’s cell phone number is the only number that the S4 will answer unless the owner wants to add emergency contact numbers. If the salesperson and the F&I person are not successful in selling the S4, the dealer tech could get under the dash and unplug the S4 and put the unit back in dealer inventory. They leave the S4 cable in place. Even if they don’t make the Tracker sale, it only costs the dealer a few bucks for the extra S4 cable and few minutes of the technician’s time to install the cable in the first place. When car owners bring in their vehicles for normal service, the Service Manager may suggest that while the car is being serviced, S4 could be installed for the added safety and security. Owners that have S4 installed will appreciate the benefit and be motivated to return to the dealership when it’s time to consider a new vehicle. The individual dealer determines the price to be paid by the car buyer. 911SafeTrack does not publish a price for the S4. 911SafeTrack price to the dealer includes the first year service and is hundreds of dollars less than typical car buyer prices for LoJack. This provides considerable profits for the dealership and the dealer’s people. 911SafeTrack handles all customer support calls. We also handle customer service so that the dealer can stay focused on the selling more cars and S4s off the lot.